"We’re still optimistic for the rest of the kiwi season"
The kiwi season has been a bit rough in Greece. With a record crop last year, Greece is hoping to expand and build on what it’s accomplished. Instead of the 220,000 tons of kiwis that were cultivated last year, this year the number will be stuck on 160,000 tons. Mid-February is about the time Fruit Logistica has come to an end, which is no coincidence. 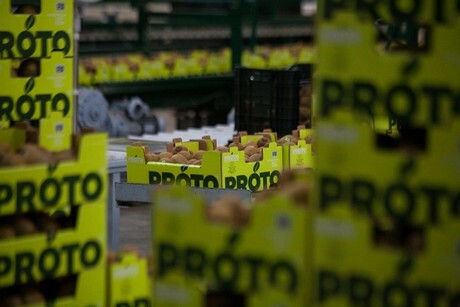 “Fruit Logistica is always a place to attract new customers. There are a lot of exhibitors though, so attaining new clients is not as easy as it might sound. But even over the last few days we’ve had contact with potential new customers, who will visit us in Berlin.” Kallitsis explains. Other markets can be interesting, but exporting to China has proven difficult. “We’ve only managed to export 15 containers to China. Other markets are Indonesia, Malaysia, India and Hong Kong. Volumes to these regions have been a bit lower, but we’re still satisfied with how our produce is doing over there. Having a foothold is important, as it is expected that Greece production will increase the next few years. Normally production should reach about 300,000 tons by 2021, but it remains to be seen how important Italy will be at that point. 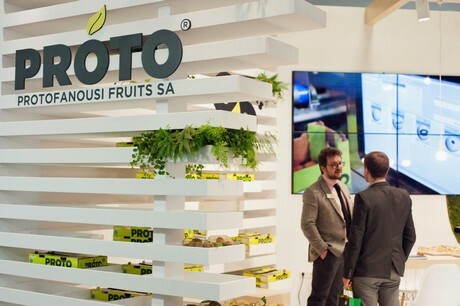 Proto is an exhibitor at Fruit Logistica 2019 in Berlin. You can find them in Hall 2.1, stand D-01.